Diwali is the biggest of all Hindu festivals. Learn about its origin, significance. In each legend, myth and story of Deepawali lies the significance of the victory of good over evil and it is with each Deepawali and the lights that illuminate our homes and hearts, that this simple truth finds new reason and hope. From darkness unto light the light that empowers us to commit ourselves to good deeds, that which brings us closer to divinity. During Diwali, lights illuminate every corner of India and the scent of incense sticks hangs in the air, mingled with the sounds of fire crackers, joy, togetherness and hope. 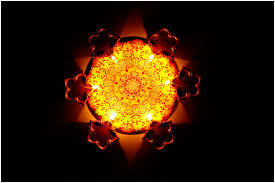 Diwali is celebrated around the globe . Outside India, it is more than a Hindu festival, it s a celebration of South Asian identities. If you are away from the sights and sounds of Diwali, light a diya , sit quietly, shut your eyes, withdraw the senses, concentrate on this supreme light and illuminate the soul.